When it comes to workplace hazards, few things can be more dangerous than a fire. Each year in the United States there are over 70,000 workplace fires, with many of them being serious. From these fires, there are about 200 employee deaths each year. This is a very significant number, and it shows that not enough is being done to prevent fires, or minimize their damage when they do occur. One major cause of fires in the workplace is flammable liquids. These liquids come in many different products including gasoline, many types of oil, acetone and others. While these products can be safe when used properly, they can quickly catch fire if not properly stored and used. Flammable liquids typically ignite very quickly, which can cause a fire to start and spread faster than many people would believe. This is why it is so important for employers to ensure there are safety policies in place, and being followed, whenever flammable liquid is being used. When it comes to fire safety for flammable liquids, there are many things that need to be kept in mind. There are two primary hazards associated with flammable and combustible liquids: explosion and fire. 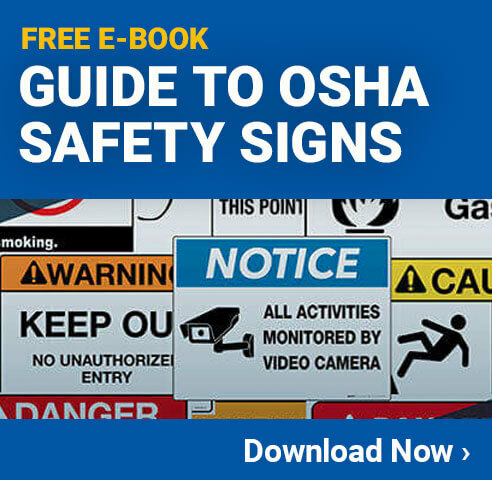 In order to prevent these hazards, this standard addresses the primary concerns of: design and construction, ventilation, ignition sources, and storage. Flash Point – Different liquids have different temperatures at which they can vaporize. When this happens the vapor from the liquid can ignite if it comes in contact with a heat source. Autoignition Temperature – This is the temperature at which a liquid will catch on fire. Diethyl Ether, for example, will ignite at 338 degrees Fahrenheit, where as Acetone requires a temperature of 869 degrees to ignite. Proper Containment – Many flammable liquids can also be corrosive, which means if they are placed in the wrong container, it can eat right through, causing a leak or spill, which can be hazardous. Knowing what types of containers different liquids need to be stored in is essential. Fire Containment – In the event of a fire, employees should know how to properly contain the fire and how to safely get out of the area. Fire Suppression Systems – Employees should also know how to use any fire suppression systems in the area. Whether this is a fire extinguisher, or activating a sprinkler system, the employees working with flammable liquids will often be the first to respond. When working with flammable liquids, it is not only important to know how to properly handle them, but also how to keep yourself safe. Due to the corrosive and flammable nature of these liquids, they can cause serious problems if they come into contact with the skin. Some flammable liquids can cause burns, even if they don’t ignite. Wearing the proper personal protection gear is essential for staying safe while working with these hazardous liquids. In the event that an employee does catch on fire due to these liquids, they should know how to react quickly and properly. If clothing is on fire, they can follow the old ‘stop, drop and roll’ instructions to get the fire put out. Depending on the type of liquid that is burning, however, it may require more than that. Providing employees with emergency fire training will help to minimize the injury of any spill or fire. In addition to the obvious dangers of catching on fire, flammable liquids can also be very hazardous due to the fumes that they cause. In many cases, the fumes are far more flammable than the liquid alone. Gasoline, for example, won’t ignite even if you drop a lit match into it (as long as there are no fumes). When the gasoline is vaporizing, however, it doesn’t take much heat at all to burn. Knowing how to keep flammable liquids from vaporizing is extremely important. Having a good ventilation system in place is another way to minimize the hazards associated with the fumes of flammable liquids. Even if the fumes don’t catch on fire, however, they can still be quite dangerous. Breathing these fumes in, for example, can cause respiration issues. Some liquids can cause immediate health problems when inhaled. Others can dramatically increase the risk of getting serious diseases like lung cancer years down the road. When working with flammable liquids, it is important to have proper ventilation or respiration equipment for all of the employees to ensure they aren’t exposed to these dangers. It is clear that flammable liquids can be extremely dangerous, but they are still an important part of working in many facilities. Whether it is something as common as gasoline for a vehicle, or something more unusual, but equally deadly, safety should always come first. Even employees who are well trained need to be regularly reminded of the extreme dangers of working with these liquids. With the high number of facility fires that occur each year, it is clear that more needs to be done with fire safety. Unfortunately, many people get used to working with these hazardous liquids, and they begin to let their guard down. This is often when severe accidents occur. Employers should provide frequent reminders of the dangers of flammable liquids. This can be done by holding training or informational meetings about fire safety and by showing safety materials such as training dvds (like this fire safety DVD), or by using safety signs wherever these liquids are used. By keeping the dangers of flammable liquids at the front of people’s minds, they are more likely to take extra precautions so there aren’t any accidents.